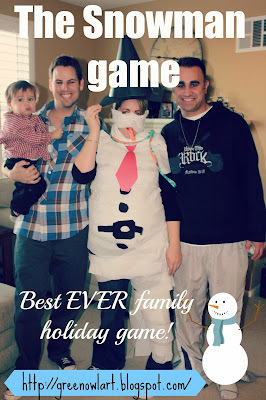 One of the games we played that year and continue to play every year is the snowman game. The family all splits into groups of three or four people and each group is given a supply package containing 2 rolls of tp, construction paper and tape. One member of each group will get dressed as a snowman by the other team members. We set a ten minute timer and when the time was up all the snowmen lined up to be judged by Grandpa. I can't tell you how fun and silly this game is. So many laughs and great memories have been made. I highly recommend making your holiday gatherings a declared game day! We needed to stop and slow down, at least for just one evening and this seemed to be the perfect way to do so. 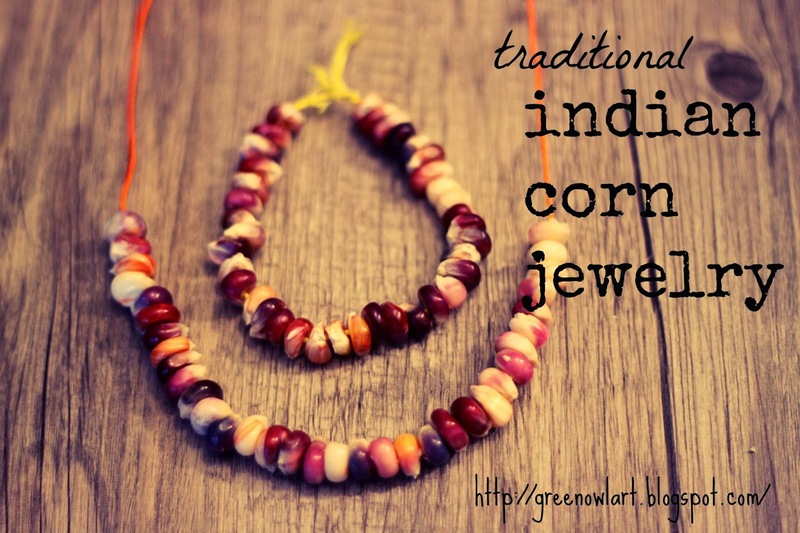 I remember making Indian corn jewelry as a child and loving it more each year I grew. 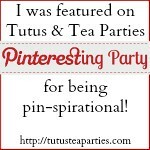 I love activities that can become traditions it makes it all the more special. 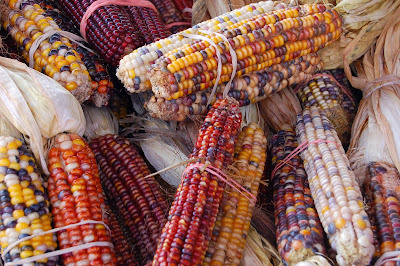 Look at those incredible colors of this corn, it just makes me happy. You can find Indian corn at most markets or even craft store this time of year. I definitely encourage you to get it still on the cob. Removing the corn is one of the best parts. It comes off a lot easier then it looks. Even G (age 3) was able to pop these kernels off. Both kids finished an entire cob. Into a bowl of water they went to sit at least 24 hours. This softens up our corn to make for easier threading. The next day we pulled out some embroidery thread and a needle and got to work. This is the first year Em was able to do this part. Although the corn softens up, it is still pretty tough and takes some strength to the get the needle through. We made several bracelets and a necklace with just one cob. They go a long way. This was a great way to mellow out with some tea and my two favorite little ones. And......breath. With Thanksgiving approaching we have been talking a lot about the things we are thankful for. I wanted to somehow capture my children's sweet answers and also to sit and create with them while talking is always a great way to feel connected as a family. I wrapped a piece of wire around a basic jar making a loop on one end and leaving the other end long for beading. The kids added beads to their lantern handle. If you are using plastic beads I would suggest only adding beads to the sides since you will be placing candles in these lanterns. Once we added a few beads, I slipped the wire end through the loop and twisted it close. On small pieces of lightweight paper we wrote down things we are grateful for. We set these aside while we got a mixture of school glue and water together. I also pulled out a bag of tissue paper squares to add to our lanterns. We chose some pretty fall colored tissue paper for this. Any color you have on hand will look beautiful. Just cut the tissue into small squares. We gave our jars a good coating of the glue mixture using a foam brush and started adding the colorful squares. Lastly we added our words right on top of the tissue with some more glue. These took a couple of hours to dry. 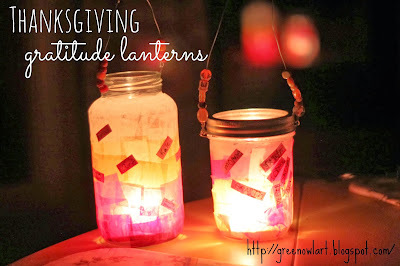 Once our lanterns were completely dry we added candles and went on an early Thanksgiving lantern walk. The kids love going on lantern walks and I have to say I might enjoy this special tradition even more than they do! There is something about walking as a family and singing songs while holding our beautiful lit up creations that makes you feel a little magical. Don't you just love when you create something on accident?! 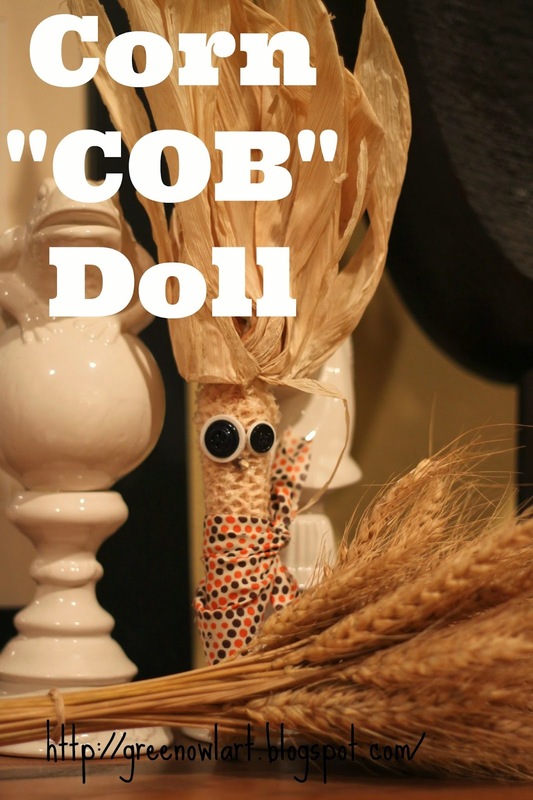 These corn cob dolls were not at all intentional or planned. It was just one of those magical creating moments that always makes you wonder why it took so long to discover. We grabbed some Indian corn from the market to make our traditional November Indian corn jewelry. It's actually a lot of fun to pop the kernels off the cob. Look how beautiful that corn is! It amazes me every year. So, back to the dolls. When G started running around the house with his now naked cob and talking like of course any corn cob would--I got an idea! We pulled out a few knick-knacks and the hot glue gun and got to work. Em got silly by giving her doll a pony tail. With some fabric scraps and buttons these corn cob dolls were turning out pretty adorable. Again, why did I not think of this before?? Oh, all those sad cobs that got tossed into my compost each year. Here is Em's creation! It is one of my favorite things she has made. I love that she used a rubber-band as a mouth. It's a keeper! 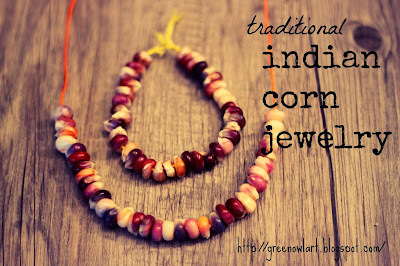 **Stay tuned for our Indian corn jewelery, coming soon!! On a recent trip to the library Grayson picked out this fantastic book. He grabbed it because of the boat on the cover, but when we got home and opened it up I was very happy he did. "If You Lived Here" gave us a chance to step into homes all around the world. It is filled with beautiful illustrations and very detailed descriptions of each home. Since I had just picked up some scratch foam- I thought it would be fun to tie in this book with some printmaking. 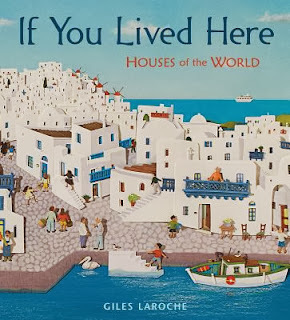 After I read the book to the kids we chatted for awhile about the different homes we have lived in. I asked them to imagine what their home would look like if they could live anywhere, in any home. Once they had their ideas Em got to work sketching it into the scratch foam and Grayson...well, Grayson was on to the next more exciting event in his day. If you have not used scratch foam, it is a wonderful tool! 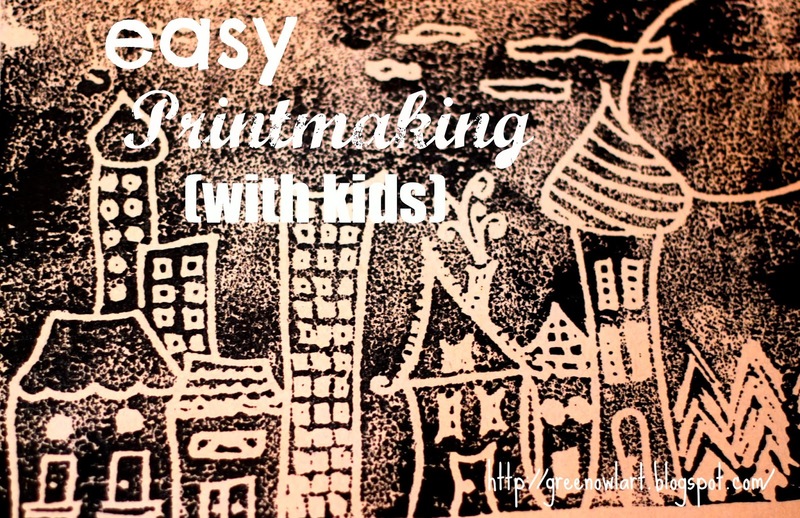 It's basically a Styrofoam paper and is a very inexpensive way to introduce children to printmaking. You start by drawing your image right on the foam. We used a basic pencil to do this. Next, using a foam roller we covered the scratch foam with a black acrylic paint. 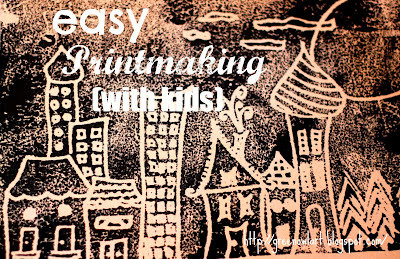 Em placed a sheet of cardstock right on top of the foam and pressed softly across the drawing. You could also use a rolling pin to be sure all areas of the drawing get equal pressure. The best part is lifting up the paper to see your print. It's definitely one of those "wow factor" moments in the project. Here is my drawing. Em asked why I drew so many homes. Well, because in my perfect home I would have all of my many siblings (parents, nieces, nephews...and so on) living on the same street as me. What a dream that would be! Em wrote the name of our city on top and was not very happy when the print showed it backwards! I had to laugh a bit and also tear up some because she finally (after almost 2 years of asking to move back to CA) has come to love this amazing place we now call home. Pretend bake shop is always such a hit in our house. Sometimes we use play dough and sometimes we use felt, but today, cardboard and foam stickers made the most beautiful cookies in our bakery. I set this craft up early on a Sunday morning while the kids slept in a bit. 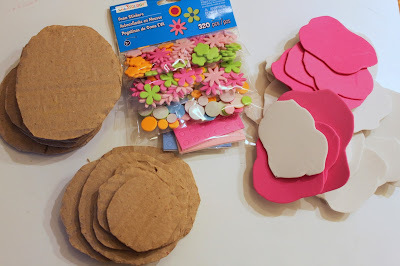 I used cardboard for the circles and cut abstract stickers from sticky foam sheets to be our icing. Simple foam stickers would be used as sprinkles. This can be done with any craft materials really. If you don't have stickers it can be simplified with just markers and cardboard. This craft is more about the imaginations then the supplies. 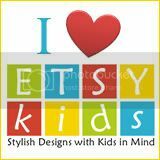 So, let those little creative minds lead the way. 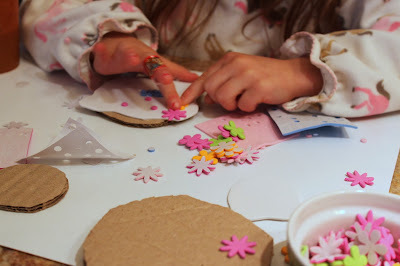 Both kids were fully engaged in this simple activity. They each became a new character that morning and baked up a storm as I prepared their breakfast. What a great way to start a Sunday. I shared this over at Kiwi Crate, join me there for many more ways to inspire little imaginations. When we came across some tiles that were at a local home warehouse recycling center, I grabbed a handful with absolutely no idea what to do. When Em and I started experimenting by decorating the tiles with permanent markers, we were amazed at how beautiful they came out. These tiles are a simple (and gorgeous!) gift! 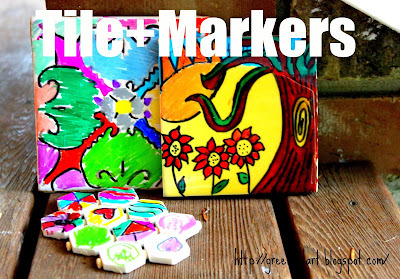 All you need for this craft is a few tiles and permanent markers. 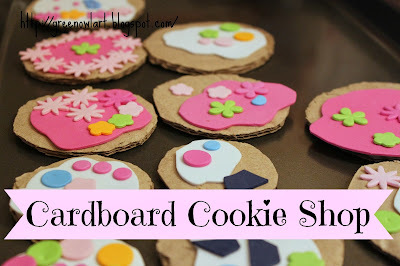 So easy and you can turn these into trivets, coasters or just a fun wall hanging. This is a great homemade gift the kids can make for family. We discovered that drawing a black outline first really made the colors pop. The kids personalized some for grandparents. I know their little drawings will be treasured. Even the little guy could join in on this project. OK, so I got a little involved in this one myself. They are a bit addicting. This was a really fun art project to do as a family. The kids didn't need much guidance and I enjoyed it just as much as they did. 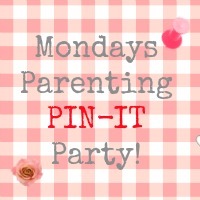 We will be doing this one again very soon! I shared this full tutorial over at Kiwi Crate. We have been talking a lot about kindness and friendships this past week. 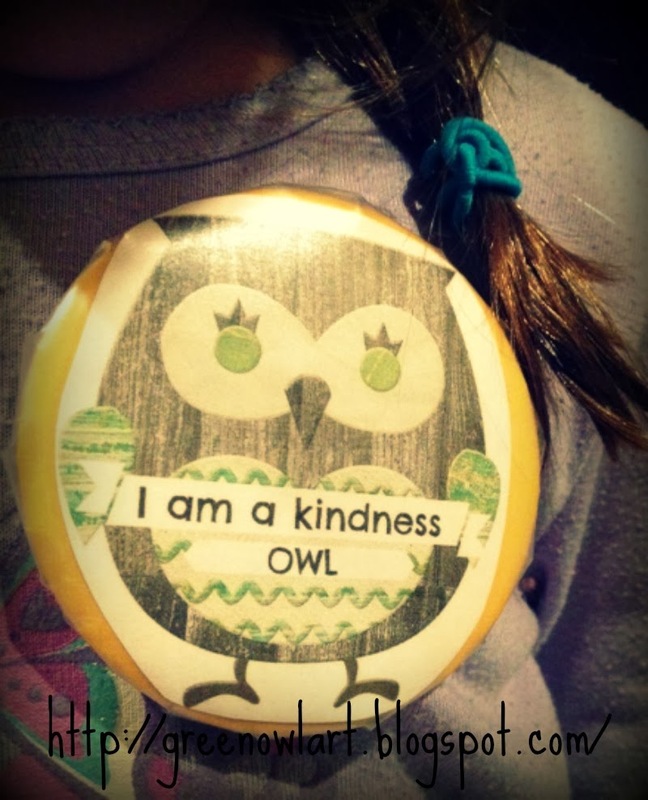 I created this little owl badge (above) to go along with some of the things we have been reading and talking about. I thought it would be a fun way for the kids to remember their kind words and aim high to be the "kindness owls" that I know they are. A good friend sent me this book a couple years ago and I think it is one of the best parenting gifts I have ever received. 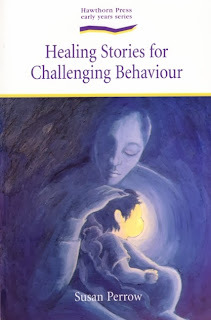 Healing Stories for Challenging Behavior is full of storytelling magic to encourage, inspire, heal and support parents and children together through stories. 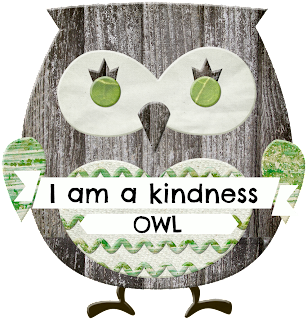 After reading many stories, the kids and I made a list together of what we felt was kind behavior and how we could show kindness each day. Next, we made a promise to each other and to ourselves to try our best to follow through with that list and be the person that we want to be. I printed the owl badge out and we used contact paper to attach it to old buttons for each of the kids. They were both really excited about their new "kindness owl" titles.